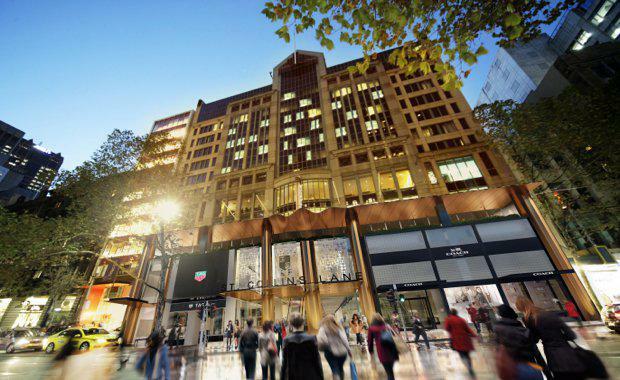 An institutional investor has acquired a 100% interest in the recently redeveloped St. Collins Lane CBD Shopping Centre. The sale was exclusively negotiated by JLL Head of Retail Investments Simon Rooney on behalf of LaSalle Asia Opportunity Fund III. Located in the heart of Melbourne along the renowned Collins Street, St. Collins Lane offers over 9,000 square metres of GLA across four floors (plus a mezzanine level) comprising over 60 stores. When offered to the market for sale, prior to St. Collins Lane being open, it had strong pre-commitment from a number of leading international brands including Coach, TAG Heuer, Reiss, Maje, Sandro Paris, Zadig & Voltaire and The Kooples, along with a host of luxury Australian brands, as well as popular restaurants including Burger Project and Los Vida – both a Melbourne first. St. Collins Lane sits below the Novotel Melbourne on Collins which sold for $237 million to Frasers Hospitality Trust earlier in September, realising a total $484m for LaSalle. Mr Rooney said St. Collins Lane adds to a series of retail developments in the Melbourne CBD in the last few years which together have created a powerful concentration of retail amenity, essentially running from Flinders Street Station through to La Trobe Street. "The revitalisation of the CBD retail core has driven further strengthening of investor demand for these high quality assets and this was reflected in the competitive sale process for St. Collins Lane. “2016 already reflects a record year for CBD retail transactions with $1.6 billion recorded to date, eclipsing the $1.2 billion in 2015," he said. “There is still very robust demand from investors who are seeking to acquire major CBD retail assets given their defensive nature and potential to generate solid income growth through increased population density, infrastructure improvements and employment growth. “Interest for St. Collins Lane was primarily led by offshore capital sources, with their lower cost of capital and strong preference for CBD retail assets. Although offshore investors have moved into other retail categories in recent years – primarily sub-regional retail – CBD assets remain the top preference for groups with a core strategy,” Mr Rooney said.